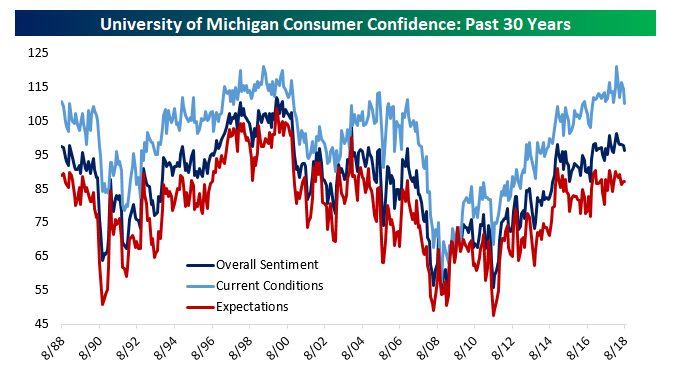 Earlier today University of Michigan consumer confidence beat expectations, rising to 96.2 from 95.3 in the preliminary reading. Even with the uptick, the overall gauge is down from 101.4 in March, driven by declines in both current conditions and expectations. One reason to look past that relatively unimpressive showing was a much stronger number from the Conference Board gauge earlier this week, which hit the highest level since October of 2000 this month.